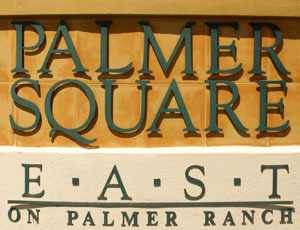 Palmer Square East is part of the Palmer Square developments in Palmer Ranch, this is the sister community to Palmer Square West. The small enclave is composed of luxurious carriage house condos that are incorporated into the immaculate Palmer Ranch landscape. Residents here know each other by first name and are often seen mingling by the community pool or taking short walks to the gym or the mall. Palmer Square East condos for sale offer two to three bedroom condos and townhomes with a floor size of 1800 to 2800 square feet. Prices range from the low $200s to the high $200s. The community overlooks a tranquil lake and the excellent TPC golf course at Prestancia. Therefore, Palmer Square residents can avail of membership at the golf club and enjoy a game or two without traveling far, meet some new friends from the Palmer Ranch other communities or take advantage of the golf club’s amenities. 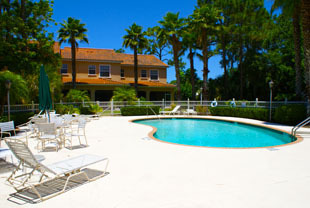 Directly south of Palmer Square East is Potter Park Drive, where the Sarasota Family YMCA and Selby Aquatic Center are located. The modern fitness and recreational complex features a state-of-the-art gym and basketball and racquetball courts. An Olympic size heated swimming pool and a water park can be found at the Selby Aquatic Center. For water enthusiasts, however, the best activities are found on the Gulf of Mexico. A drive to Siesta Key beach is only 10 minutes from Palmer Square via Tamiami Trail, which is on the western boundary of Sarasota Square Boulevard and of Palmer Ranch. This location makes Palmer Square East very accessible from the major thoroughfares. Additionally, Clark Road and I-75 are to the north and east, respectively. 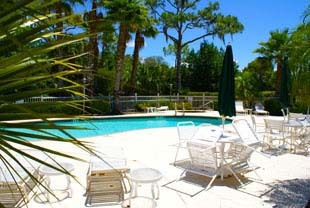 The west coast of Florida provides a wealth of activities, as plenty as the marine life teeming in its pristine waters. Fishing is popular in Sarasota, which was primarily known for the activity way before it became a winter retreat for the wealthy. That part is due to Chicago socialite Bertha Palmer, who originally owned 80,000 acres of land in Sarasota—of which 10,500 acres is now the modern day “Palmer Ranch”. There are plenty of boats to charter for fishing, sailing or cruising the bay and the nearby keys. Moreover, because of Palmer Square’s close proximity to the beach and marinas, residents can go island hopping and be back in time for an aperitif by the community pool and enjoying the lakeside panorama against the backdrop of TPC Prestancia’s gently sloping golf course fairways. Below you will find a complete list of Palmer Square East Condos for sale.